Furnace Cooling Water Systems ( envirosep FCWS) are used for providing process cooling water to water-cooled furnaces in such applications as: pyrometallurgical industries, ferro-silicon manufacturing, and fusing materials. 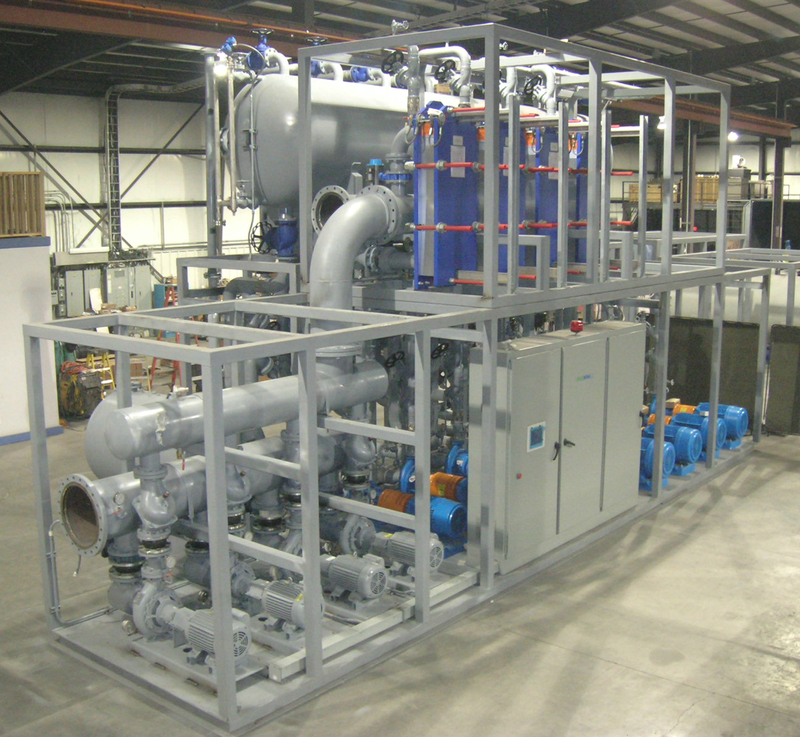 Envirosep furnace cooling water systems are centralized, integrated systems for providing cooling water to a complete facility or an individual process. Systems may be designed for spray coolers, panel coolers, or external jacket coolers. Typical system arrangements include solids separation, media filtration, or side-stream filtration. Furnace cooling water temperature is maintained by dry coolers, evaporative coolers, or closed-circuit coolers depending on the site specific water reduction and re-use startegies. Envirosep’s furnace cooling water systems are engineered and designed to provide reliable service for industries that cannot afford downtime.